Nothing ruins the day quite like finding an OUT OF ORDER sign tacked to the front of our favorite pinball machine. Here to put OUT OF ORDER signs out of business forever is the Ultra Pin (Global VR). 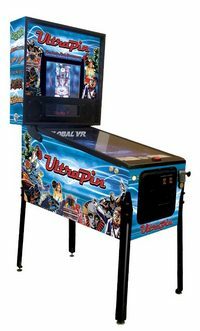 Where old-school bumpers, ramps and bonus whirly things would normally be, the Ultra Pin has a 32-inch 16:9 high definition plasma monitor. In other words, the entire game—right down to the silver ball—has been digitized. 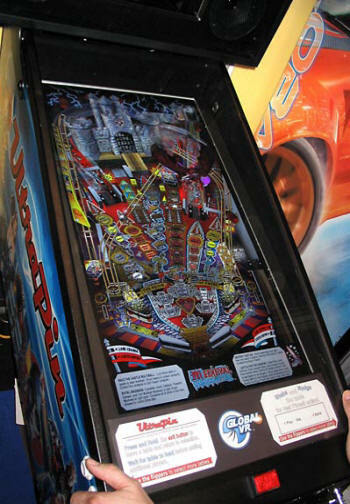 The machine plays six different pinball games, including classics like Attack From Mars, F-14 Tomcat, and Xenon. A Force Feedback System even allows bumpers and tilters (you know who you are) to bump and tilt all day long. Without thousands of moving parts to be maintained, the only way to put Ultra Pin out of order is by yanking the plug.